What Makes a Good Cordless Drill? Cordless drills are operated with rechargeable batteries, allowing you to snap in the drills battery pack and have instant power. This makes the cordless drill especially convenient for outdoor use, or anywhere that an outlet or power source may not be easilyaccessible. Cordless drills are good for and endless number of projects and can be found as a staple in many home workshops. New models can have nearly as much power as the corded drills with the convenience of a battery pack. The top four uses for cordless drills are: replacing the screwdriver, pilot holes, as a hole saw, and attaching or removing screws. Any project that requires the use of a lot of screws for assembly will benefit from a cordless drill. You are able to change bits to fit the size you need, making them very versatile. Drilling pilot holes allows you to insert a screw into materiel that may split or crack. It’s best to use a smaller bit piece to pave the way and create a smaller drill hole before inserting the larger screw size you need. Cordless drills provide a safe and effective way to do this and leave a cleaner finish. They are also commonly used for hole saws, meaningthe drill is used for cutting out holes, drains, door knobs, or other round drilled hole you need to create. 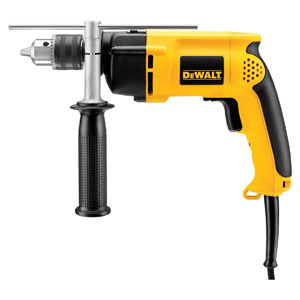 Assembly of products and for installations like drywall are a very common use for drills. They provide quick access to your power tool when installing large drywall panels, and sit comfortably in most tool belts for added convenience. They are easy to operate and perfect for home improvement projects. After studying and testing the most popular tools on the market, the DEWALT DC970k-2 18-volt compact drill/driver kit stood out from its competitors. It is priced competitively, has enough power for most home projects, and has a long lasting battery with a quick recharge. Anyone who does any work around the house, wants to build anything and even assemble items you purchased will benefit from a cordless drill. This home staple is very versatile and can be used for everything from hanging heavy pictures on the wall, the assembling furniture, to building a clubhouse or deck. Given the wide variety of tasks the cordless drill can tackle we recommend this to nearly everyone. Whether you rent or own, you will find many uses for a drill. Enjoy participating in DIY projects, wood working, furniture building, preforming home repairs, or construction work. Each of these tasks will benefit from a cordless drill. Any job that requires inserting a screw, or making a hole can benefit from a drill. The cordless feature is useful for anyone working outdoors or jobs where electricity may not be available. They are compact in size and will easily fit in a work bag or tool box allowing you to bring them anywhere. There are several features to consider when looking for the ideal cordless drill. The first thing to consider is the power the motor offers. 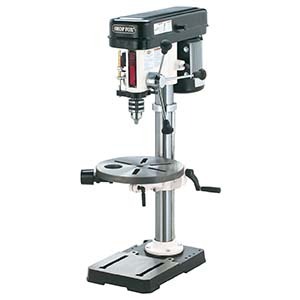 Will the drill have enough power to perform the tasks you need with ease. An 18 volt, high performance motor will provide you both power and durability to drill and attach pieces as needed with no strain on the tool. This level of power can also handle working with harder materials and woods. The cordless drill will weigh more than a corded drill because of the weight of the battery pack. Because a drill is used with your hands and must be lifted the weight will impact how long you can use it and the amount of fatigue you experience. This makes the weight of the unit very important. For weight you will want to make sure you can hold your cordless drill firmly and comfortably. If you are using the drill with one hand the weight will be even more important. The size is also an important element and will determine where the drill can be used. Smaller drills will fit in tighter spaces but may come with less power than a larger drill. Size can also impact portability and storage requirements. Most cordless drills are compact and lightweight giving you the key features needed to complete most jobs. Standard drills typically weight around 3-5 pounds. Balance is another key feature with the drill. One with good balance will reduce fatigue and be easier to use, especially in tight fitting applications. Another factor is the battery and battery life. A strong battery will increase the available power and a long lasting battery will give you a lot of use between charges. Fast charge features will get you back on the job quickly and battery meters will let you know how much power you have before the next charge is required. It can be very frustrating to need the drill and have a dead battery. For this reason, many drill owners purchase an additional battery so they can work without having to stop for a charge. Drills start at the low end do not generally have enough power and battery life for regular use. Those who will just use a drill occasionally might be happy with low end models. 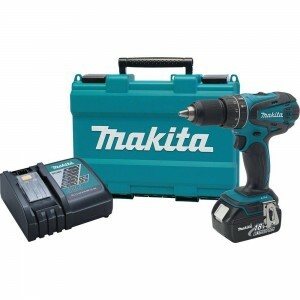 For those who will use a drill on a regular basis a top quality drill is very affordable. Higher end drills add more power but also are larger and heavier. We began by looking at cordless drills as a whole and evaluating the durability, overall performance, and features that come with the top brands. Due to the popularity of drill there is a wide range in both price and quality of drills on the market. We tested motor performance, battery life, power and speed to narrow the list of top drills available. After narrowing our research,we sought recommendations from professional users to further refine our list of contenders. We then referred to real customer reviews, professional opinions, home improvement blogs, and tool company recommendations. We then searched amazon reviews for a final evaluation of the best cordless drills available. 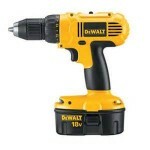 The DEWALT DC970k-2 is a one of a kind cordless drill that is both lightweight and powerful. The drill is durable, reliable, and built to tackle the biggest and toughest jobs. Its compact size makes it perfect for drilling into tight places, fitting comfortably in any workshop, as well as being the perfect size to pack and take with you from job to job. Without the battery it weighs only 3 pounds and 5.2 pounds with the battery. This lightweight design reduces fatigue while still offer lots of power. 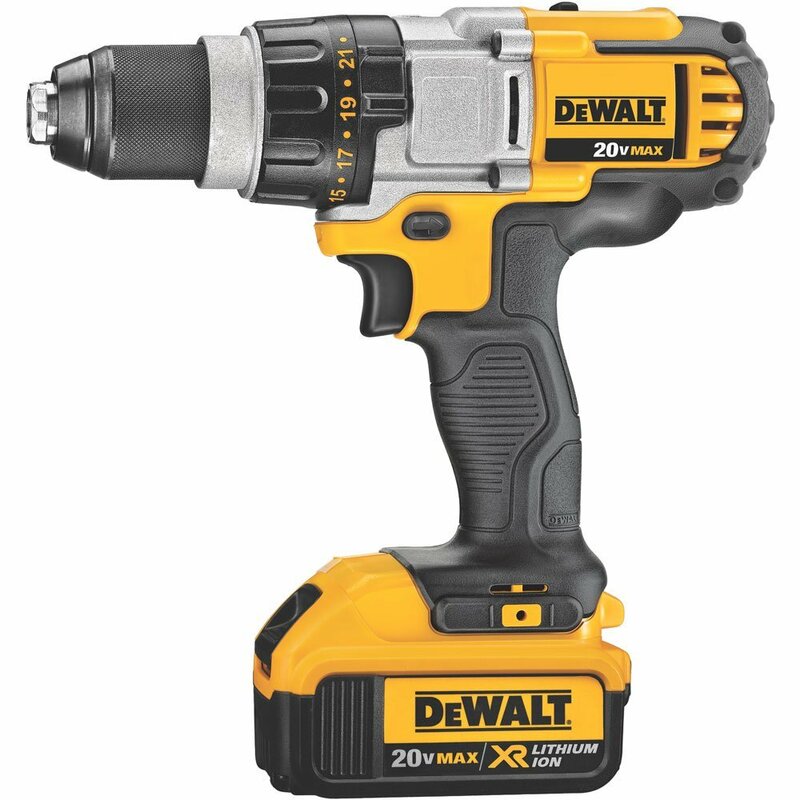 This cordless drill is built with a high performance motor and can put out 380 unit watts for maximum performance. With a dual performance speed of either 0-450/ 0-1,500 rpms you can adjust the speed based on the job at hand. The drill is powerful enough to drill into hardwood, plastic, and metal material and can be used in both construction and HVAC applications. The drill is designed to deliver a consistent and steady speed throughout its entire battery life and provide a steady and strong controlled drilling process through your entire project. It has a ½ inch single sleeve key-less ratcheting chuck for tighter bit grip. This will ensure your bits will not become loose or out of place while the drill is in use as well as providing better retention and accuracy. This product also comes with two batteries so when one runs dry you can be up in running immediately while the other battery charges. The unit is set up with a quick charge that can fully charge the battery in about an hour. 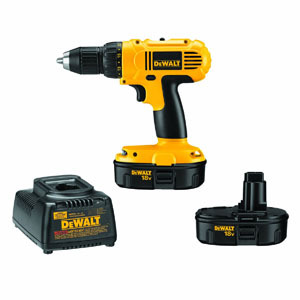 DEWALT is a leading manufacturer of power tools and accessories including cordless drills and the batteries are interchangeable with other Dewalt tools for added convenience. 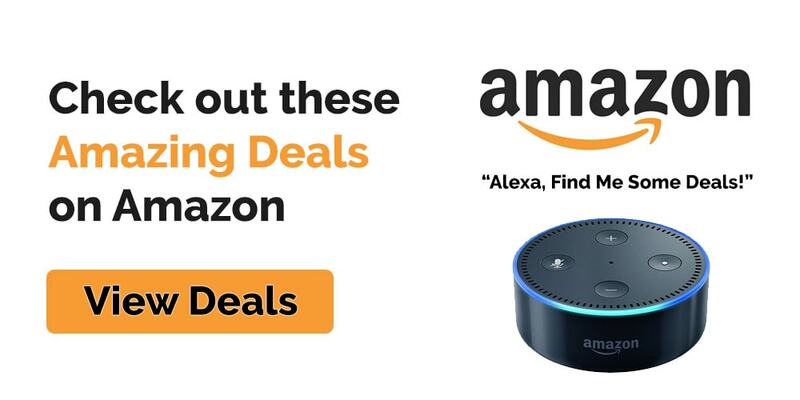 Two batteries, a charger and a carrying bag are included. If you are looking to upgrade to a 20 volt you will be rewarded with more power and a longer battery life with the Dewalt DCD 980M2 20-volt maximum lithium-ion compact drill/driver kit. This Cordless drill offers a compact size and lightweight design, yet offers a maximum of 353 units of power instead of the 380. This drill is still easy to transport and store and well as easy one handed use and minimal user fatigue. It also comes with 3 speeds instead of two and a longer battery life than can last up to 24 hours. 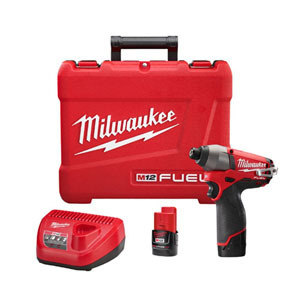 The kit includes the drill, a one-hour charger along with two batteries and a case. It comes with a ½ inch ratcheting chuck to provide tight and controlled bits and a 3 year warranty. Always wear eye protection to keep debris and loose parts away from your face. Depending on the type of material flying debris can be a concern. Keep your hands away from all moving parts and do not wear loose clothing that could get caught in the drill. Store your device in a cool dry place, and keep any electrical parts away from water or any areas that may become wet. Do not force the drill by putting too much pressure during use. Let the drill work through the wood. Putting too much strain on the motor can lead to premature burn out. It could also result in breaking the bit. Clean the drill after each use and ensure any debris is removed from the bit and bit holder. Cordless drills are universal tools that can be used in a wide variety of jobs. Its cordless feature allows for easy access, getting into tight spaces and working outdoors. The compact nature of the drill allows for easy transport and fits comfortably in any work space. Cordless drills are a great investment and would be a great addition to anyone’s tool collection.